Jessie and her family were the first to register for 1000 Books Before School through Goldfields Libraries. Pictured with librarian Narelle. Congratulations to Ava, the first child to reach 1000 books and to Angus, the 1000th child to register through Goldfields Libraries! Help your pre-schooler get ready for school! 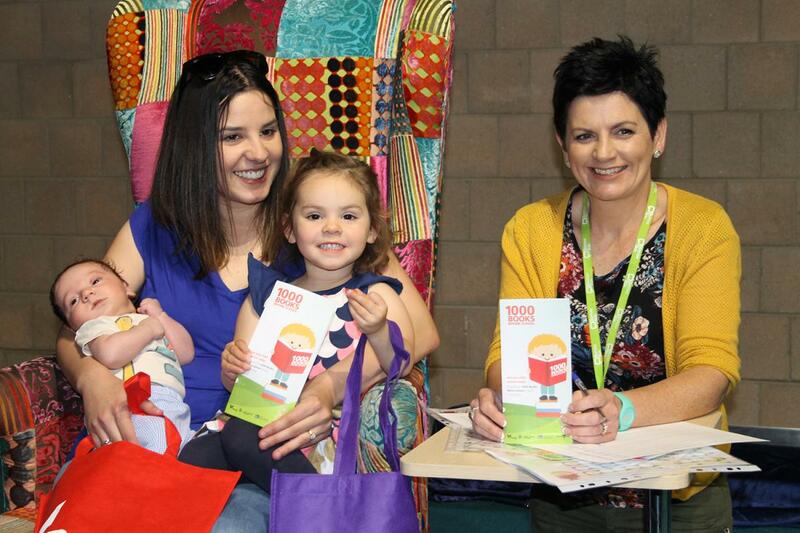 Children aged 0-5 are invited to join in the new statewide 1000 Books Before School program, now available at Goldfields Libraries. Sharing stories with babies and young children gives them a headstart to develop literacy skills that will prepare them for school, and a lifelong love of reading. Imagine all of the quality bonding time this will give you and your child together, and all of the adventures you will have! The same book or story can be read multiple times, and hearing stories at Storytime sessions count too. Participation is free. Once you register your child will receive a kit which includes reading charts and stickers. There are milestone rewards for 100, 250, 500, 750 and 1000 books, and you have free access to thousands of children's books through Goldfields Libraries and our eLibrary so you'll never run out! To participate you or your child needs to be a library member, which is free and takes just minutes to join. The 1000 Books Before School is an initiative of the Public Libraries Victoria Network, and has successfully helped thousands of children get ready to start school around the world. 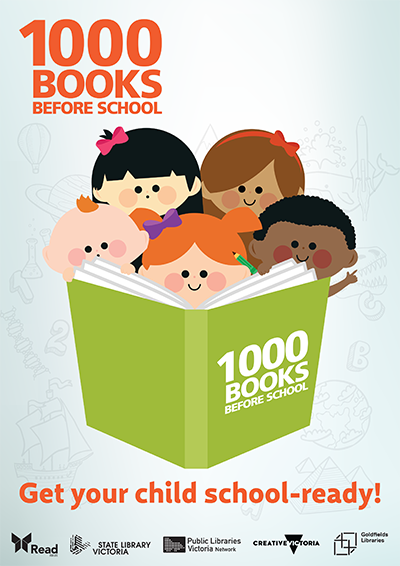 To register your child for the 1000 Books Before School program, please visit your local Goldfields Libraries branch in person. Upon registration your child will receive a kit to get started. Download additional reading records here.